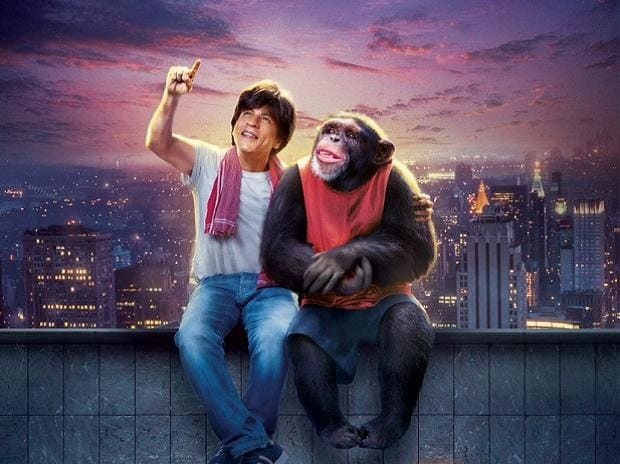 The makers of Shah Rukh Khan-starrer "Zero" told the Bombay High Court on Wednesday that they have taken steps to alter a scene in which the lead actor was purportedly seen wearing a 'kirpan'. An affidavit was filed by the film's producer, Red Chillies Entertainment Pvt Ltd, before a division bench of justices B P Dharmadhikari and S V Kotwal, which is hearing a petition filed by advocate Amritpal Singh Khalsa. Khalsa, in his petition, sought a direction to the film's director and producers to delete the scenes where Khan is seen wearing a 'kirpan' (a sword or small dagger carried by Sikhs). The petition refers to the film's poster in which Khan is seen wearing a vest and shorts, with a garland of Rs 500 notes around his neck and a 'kirpan' tied diagonally across his chest. Khalsa took exception to this scene and referred to the historical and cultural importance of 'kirpan', saying it is worn after taking 'rehat maryada' (conversion to the Sikhism). The scene has hurt sentiments of the Sikh community, Khalsa alleged. Earlier this month, the producer's counsel, Navroze Serwai, had told the court that the petition was based entirely on an "erroneous assumption". "What the lead actor is wearing is not a kirpan. It is an ordinary sword," Serwai had told the court. Khalsa had, however, said that the manner in which the item was held by the actor, it seemed like a kirpan. In the affidavit submitted to the court on Wednesday, Red Chillies Entertainment said it has taken steps to alter the scenes in question. "With a view to ensure that no religious or cultural sentiments are hurt, despite the fact that the film and its poster depicted only an ornamental dagger and not a kirpan, steps have been taken by the production company to alter the relevant scenes in the movie," the affidavit said. "The portions in question have been altered through visual effects to depict an ornamental sword," it added. When the matter came up for hearing, Khalsa said he did not have further objections considering the affidavit and its content. He, however, said that there were some websites on which the film's old poster, in which Khan is seen wearing a kirpan, continues to exist. The bench said since there is no urgency in the matter, it would hear it in January 2019. The movie is slated to release on December 21.